I’m not sure if this really counts as the First Snowfall for Garden Bloggers, but snow surely did fall out of the sky last night. Yesterday around noon – all of a sudden – the sky turned black and the wind whipped up the leaves to such an extent that I could hardly see across the drive. Then slush fell out of the sky for five minutes. The weatherman called it hail, but it didn’t do the kind of damage that hail usually causes. New England weather! So, do I have anything else to celebrate this snowy morning? Yes. Yesterday afternoon I stopped in at Artspace on Mill Street in Greenfield to see 1 in 8: The Torso Project. This was inspired and organized by Pam Walker, a breast cancer survivor and program director of Forest Moon, a non-profit that provides free and low cost workshops and retreats for people touched by cancer. Cancer survivors, or their friends, or their family, made plaster casts of their torsos and decorated them. 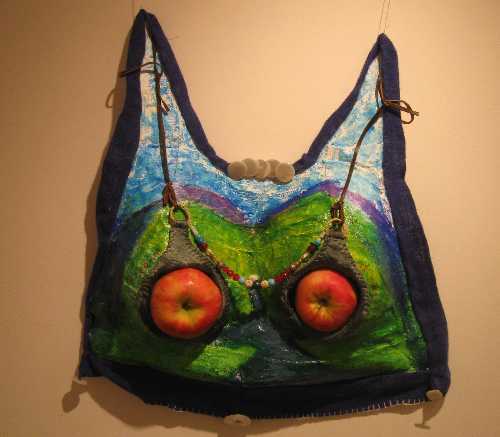 Katie Winship celebrates the fruitfullness of her friend with this piece that includes apples nestled in the old bra of her friend. Although many of the torsos depicted the scars of the survivor, they were the scars of battles won, of strength and courage. This torso was made by my friend Wendy Sibbison. I have known Wendy ever since I first came to Greenfield in 1971. I met her at meetings of the newly formed Women’s Center that occupied space above Barrett and Baker. 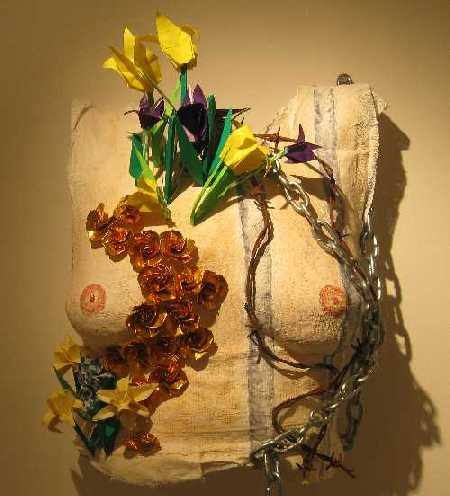 Wendy was full of fire and energy, of the strength and courage that she celebrates in this torso. On one breast she has attached the chains that we were all trying to shed in those days – along with our bras. On the other breast, the beauty and hopefullness of women is celebrated when faced with a life threatening disease. Wendy was an inspiration to me back when I was trying to get my feet under me in my new life in Greenfield, and she remains an inspiration to me today as she serves as an attorney fighting for justice. The exhibit will run until November 12, Monday through Friday from 1 – 6 pm. I was also just in time to attend Soup and Sass with Ellen Villani. I met Ellen in 1971, too, but she was about nine years old, our across-the-street neighbor and good friend to my three daughters. Ellen was always a strong personality, and she now puts her personality and her sense of humor in service of the arts. 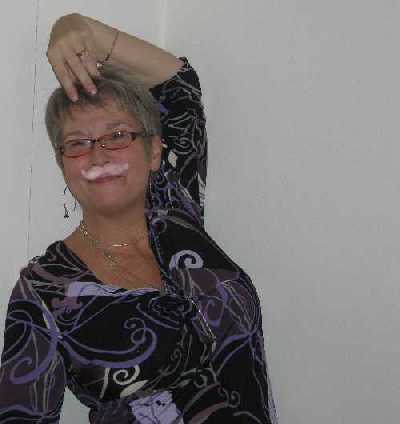 She is a member of the Artspace Board and for the past seven years she has performed Soup and Sass as a fundraiser for Artspace Projects. This year the money went to Strings for Kids in the Schools, a program that provides instruments, music, and instruction free of charge to about 125 third, fourth and fifth graders in three of Greenfield’s elementary schools. Ellen had us all in stitches as she talked about her experiences with spanx, bras, and her annual physical, but there was a deep silence as she asked the question: what would it have been like if 33 women had been trapped in a mine for two months? She hardly had to say anymore before we all burst out laughing again. But she had plenty to say and she said it. Did I mention that along with the fabulous Ellen there was also fabulous soup, bread, cheese, wine and sweets? Why is it that people who love the arts always love good food too? Lucky for us. 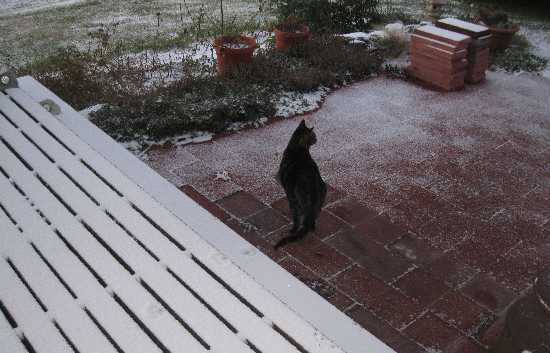 Oh my, first snow! We got some wild hail and thunder in the middle of the day in Connecticut yesterday, but none of the white stuff! Ours happened overnight and wasn’t nearly as dramatic! Just a little dusting which is almost all gone now. You are way ahead of us, Pat. No snow here and no sign of it. 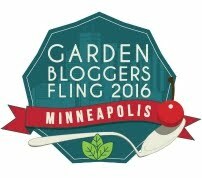 Today I was sweating taking down the raspberry canes. Sounds like you have a wonderful art community there. 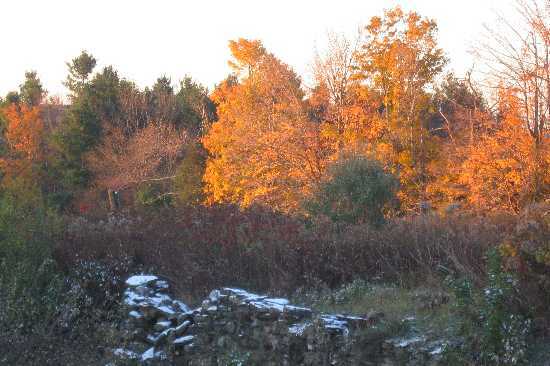 What a bummer re the snow but oh, how beautiful the fall foliage still is there! I’ve been catching up on your posts and the view from your bedroom window? Sublime!